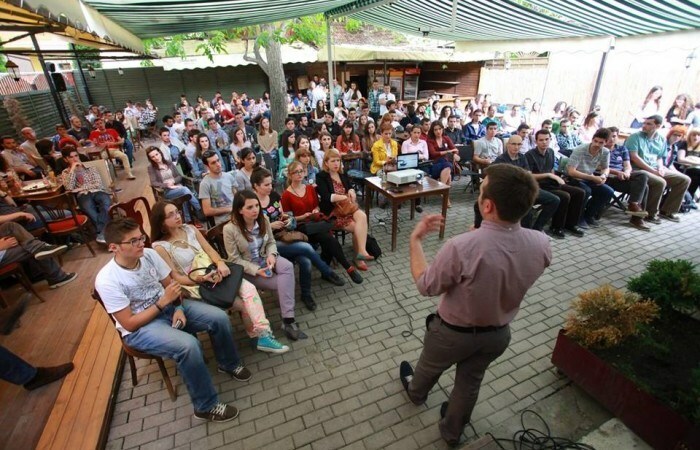 Back in October 2011 the concepts of unconference, ad-hoc conference or no predefined content were something unknown to the communities in Kosovo, who were in their alpha stages of establishment. There shall be no speaker! A barcamp shall not be about experts teaching students, but about mutual exchange of knowledge. A passive audience used to traditional and rarely organised conferences, which present endless speeches and acknowledgements, was coming to life. Debate was encouraged, questions were asked. Share knowledge, create ideas, network! The movement started. The communities started. 18 barcamps later in Prishtina, one can see a strong community that expects new people to met, new experiences to share. And things didn’t start and continue only with the capital. IPKO Foundation quickly managed to work with other cities around Kosovo and gather new communities. Gjakova, Gjilani, Mitrovica, Ferizaji or Prizreni you name it. What most didn’t manage to do, IPKO Foundation did. It decentralised the events from the capital, it raised a spark within untouched communities, it gave them something to do in their city as well. Barcamps also represented a new way of reaching out to people. Whenever a new event was coming up in Kosovo, the organisers of those respective ones had a chance to speak in front of a great audience. Speaking proudly about the first Startup Weekend Prishtina in December 2011, was my first time in front of a Barcamp audience, while later on I started standing more in front of the Barcamp audience, in the role of moderator/host. Events like Barcamp were key to establishing new communities and strengthening existing ones in Kosovo. They brought value to new events as well, like AppCamp Kosovo, WikiAcademy Kosovo, or Digital Kosovo, all of which great success stories from IPKO Foundation. If you never attended a Barcamp event this year, then you’re in for a treat in 2014.